If you want to expand your forex brokerage and grow your business, adding a forex partnership program allows you to do so with minimal upfront investment. In partnership programs independent brokers, called introducing brokers or IBs, recruit new clients for your firm, help onboard them, and keep them engaged in trading. In return, you pay the IB a commission for each new client or the trades those clients make, or both. Adding introducing brokers to your forex firm allows you to reach more potential clients. Although it’s possible to reach that audience with online marketing, advertising efforts can be costly and time consuming. Reaching people online who are likely to convert isn’t as simple as creating a few Facebook or LinkedIn ads. Brokers are better at targeting and attracting new traders than the algorithms that drive digital advertising. However, opening an office in a new location requires a large up-front investment. This is where IB programs come in. Introducing brokers can help you recruit new clients. When you bring on IBs who are experienced traders, you quickly gain access to their network. And when you recruit an IB from another firm, you may gain access to loyal clients who follow them after they move. You can maximize the benefit of reaching new customers when you add forex IBs in other countries or who speak other languages. As ESMA regulations tighten, you may wish to expand the number of traders you have from other locales. Having IBs around the globe can diversify your client base and make new regulations less of a threat to your business. Clients who sign on with an IB are more likely to be active traders than those who simply decide to invest after reading a few online articles and seeing your ads. The IB can weed out potential clients who aren’t really interested in forex or leveraged products and would likely leave your firm after making only a small initial deposit. When clients do sign up with an IB, they may be more likely to be loyal to the IB than they are to your firm. This means that if the IB decides to partner with one of your competitors, clients may follow them. The key to retaining introducing brokers, and the clients they’ve brought to your firm, is to offer IBs the best tools to succeed and fairly compensate them for their work. IBs want to grow their own businesses as much as you want to grow yours. You can show them that you’re invested in helping both brokerages succeed by offering them excellent marketing tools. These tools should include customizable banners and buttons for their websites, forex trading guides and other educational tools to offer leads or use as gated content to grow their email lists, and general guidance on best practices in digital marketing. Let introducing brokers access your backend software and forex CRM so they can keep track of their clients and leads. Giving them this access empowers them to grow their business and yours. 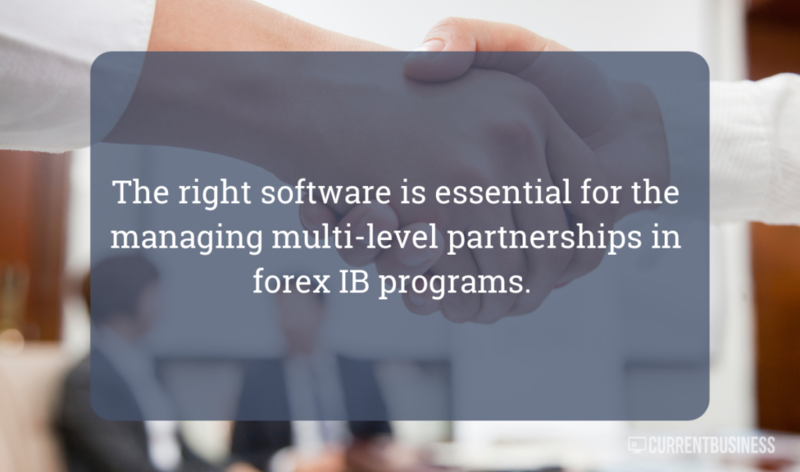 To give them access to only the information they need, you’ll need a forex CRM that has multi-level partnership management features, like CurrentBusiness. Introducing brokers want to be paid fairly for the work they do in referring new customers to your brokerage. Commissions and the compensation structure are important to them, and making sure you pay a competitive rate for referring new clients who make large deposits and actively trade through your brokerage. 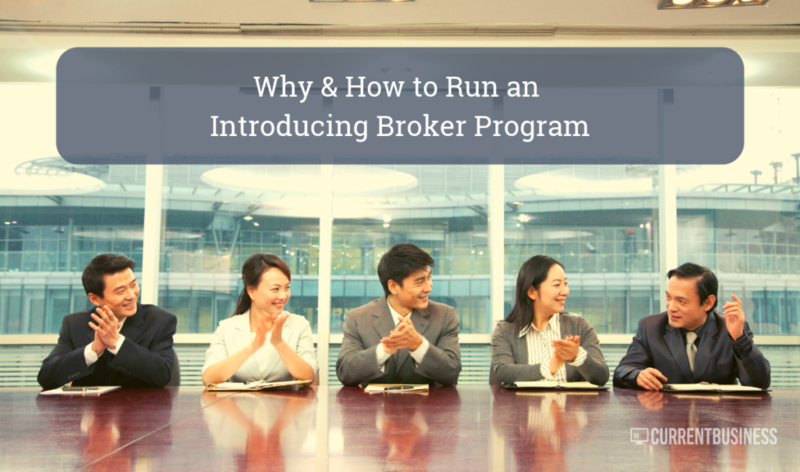 IB programs are an excellent asset for brokerages when they’re ran well. A good CRM and back office software a a key part of doing that. If you’re starting a partnership program or just re-evaluating the tools for your existing program, contact us to see how CurrentBusiness can help.